On this page we explore ways to get beautiful living room décor on a budget. The living room is like a person’s physical appearance. When you first meet someone, you first notice their clothes, their hair, their shoes, and their facial expression. In a house, the first thing you see is the exterior: roof, door, windows, landscape, fence, and paint. When you enter the house, it is commonly the living room that first greets you. This is the first room that welcomes you and sets the tone of the house for you. If you are sharing the house with other people, the living room also becomes a common room where anybody can hang out. Have you ever noticed that when you come home one day, your living room just does not give you a warm and cozy feeling? All of a sudden, your living room looks outdated, cluttered, or unpleasant? 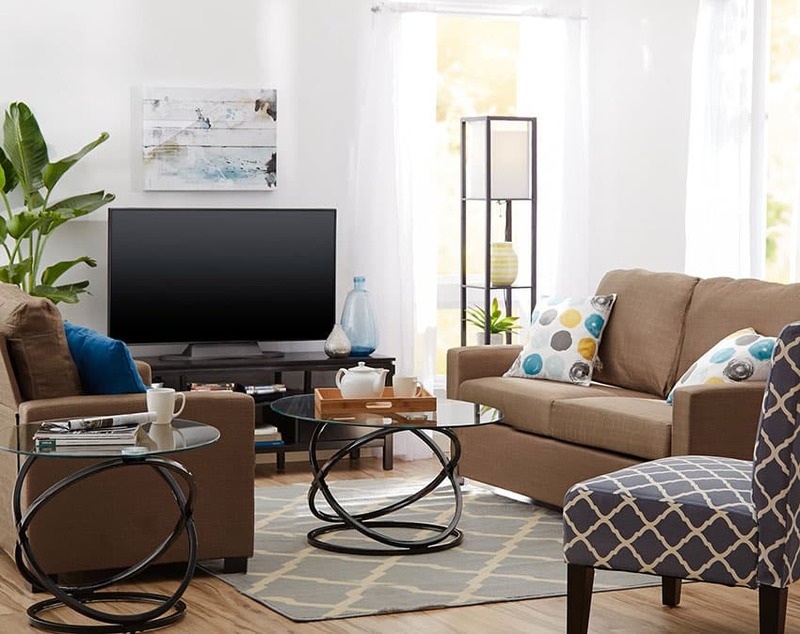 You may have second thoughts about changing your living room due to budget constraints. However, there are ways to bring back life into your living room without breaking the bank. Take a good look around your living room. What are the aspects of the room that you find unpleasant? 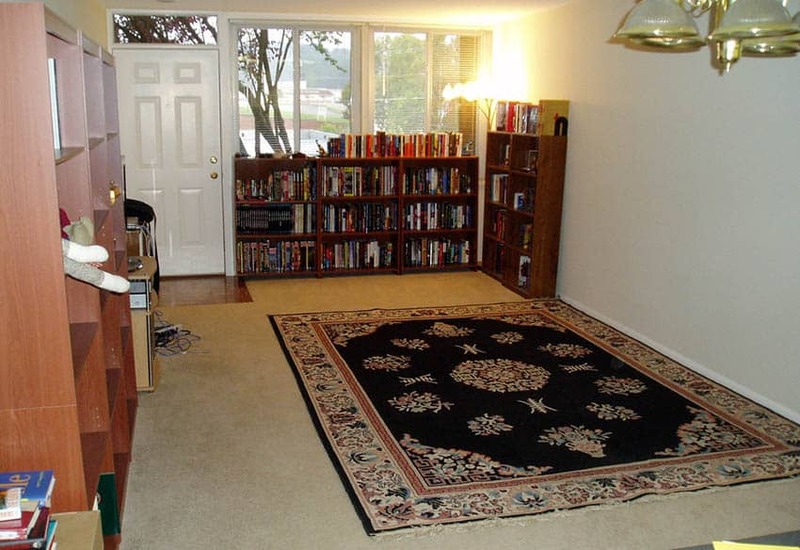 Is the room cluttered with books? Is it too dark? Is the paint faded? Do you feel that it is outdated? The first thing is to decide on what you want to change. Try picking out a theme. Would you like the living room to feel modern? Minimalist? Cottage? Traditional? Or do you just want to brighten it up? Deciding on how you want the room to look will prevent you from binge shopping for new décor. 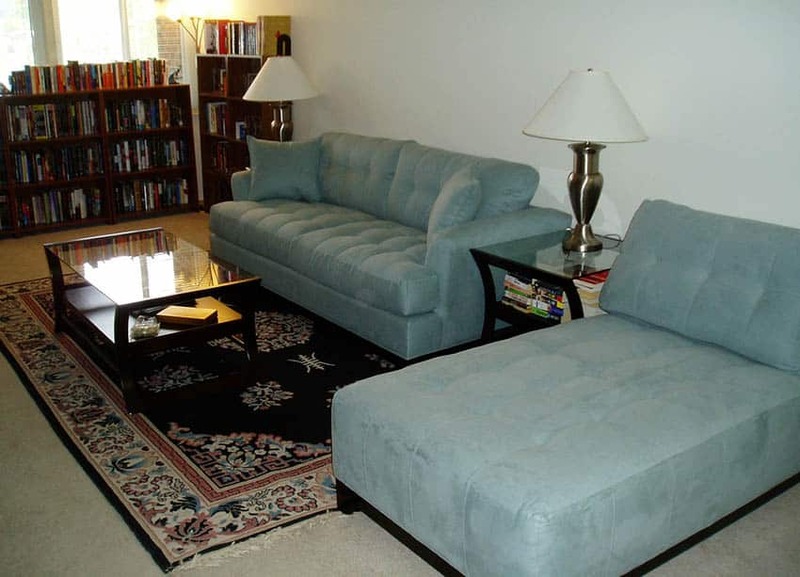 The living room above was remodeled by bringing in new furniture such as a teal sofa and chaise lounge. In addition they brought in matching end tables and table lamps. The walls of the living may be covered in wallpaper or paint. Do you think the walls are outdated? Wallpaper may be tricky to first-timers, but there are now easily adjustable wallpapers that you do yourself without the help of professionals. You can easily peel and adjust these wallpapers. If you decide to use paint, make sure to keep the theme in mind. If you want an airy beachy feel, try using light colors like sky blue, light yellow or mint green. If you want a more modern feel, you can use light gray, beige or light brown. Keep in mind as well that your floors should complement whatever wallpaper or paint you decide on. Replacing furniture is expensive, so before you throw out your old ones and reach for that credit card, consider re-arranging them first. What is the focal point of the room? Is it the fireplace? The window? The television? 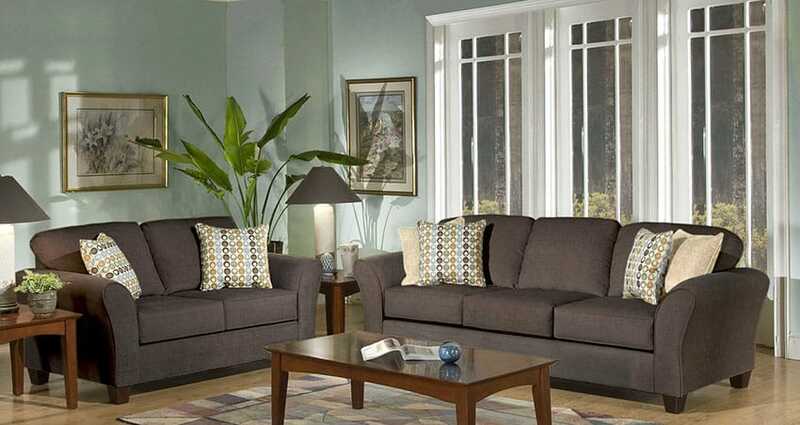 Decide on the focal point and arrange your furniture in such a way that it your seating arrangement is oriented on it. Take a walk around. Is it easy to go from one furniture to another? Does the space look cramped or more open? It is ok to re-arrange it several times to get it right. You can also remove some of the furniture that you think no longer fits in the room. You can always put these furniture in other places around the house. If the furniture is broken or just not worth saving, consider selling it or donating it. Another option is to repaint your furniture. Some may just need a fresh coat of paint, cleaning, or protection. Research on what’s the best way to protect your wood and leather furniture. Always include your furniture in your general cleaning schedule. Protecting them keeps them looking new for longer periods of time. If you want to buy new or gently used furniture, here are some tips to make sure you get the best value for your money. Avoid stores that offer 0% financing – While at first glance these deals may seem like a great offer. You get to finance the furniture right now with little or nothing down and you don’t have to pay any financing charges for the first year or so. The only problem with this is, the price of financing the furniture is often built in to the total. Meaning the furniture is not such a great bargain and overpriced from the start. Look for clearance bargains – This can be a little tough to find the real deals. We’ve have seen those signs saying a furniture store is having a “going out of business sale!” and then realize that sign has been up for years. However, by searching for clearance sales that are different from standard sale prices one can occasionally find great deals. Buy quality furniture pieces – Make sure the furniture you purchase is of good quality. Avoid anything with a veneer surface as they generally do not last. In addition watch out for upholstered furniture which may not have as long of a lifespan. Take a look at estate sales and yard sales – There are many great furniture bargains to be had at your local estate or yard sales. Estate sales are great for those looking to purchase a matching furniture set at a discounted price. There are several websites that offer email alerts you can sign up for to let you know when an estate sale is planned in your area. Stores such as Habitat for Humanity or thrift stores in your area may be another good place to search for salvaged goods of high quality. Check you neighborhood on the weekends for garage sales. Often people who are moving are just looking to get rid of excess furniture fast. Don’t be afraid to haggle to get a lower price. A well-lighted room makes it look more spacious, newer and cleaner. Some living rooms may only have one window, making it look dark. Aside from a lighter shade of paint, you can add more lights to brighten up the room. Choose your lights carefully and make sure you stick to designs that are appropriate to your overall theme. You can ask for assistance in shops. Bring a picture of your living room, and talk about what you want the room to look like. These shop experts can give you advice on how to add enough light fixtures to fit your budget. Another way to brighten up the room is by placing a mirror on your wall. Light bounces off mirrors, giving the illusion of a bigger space. 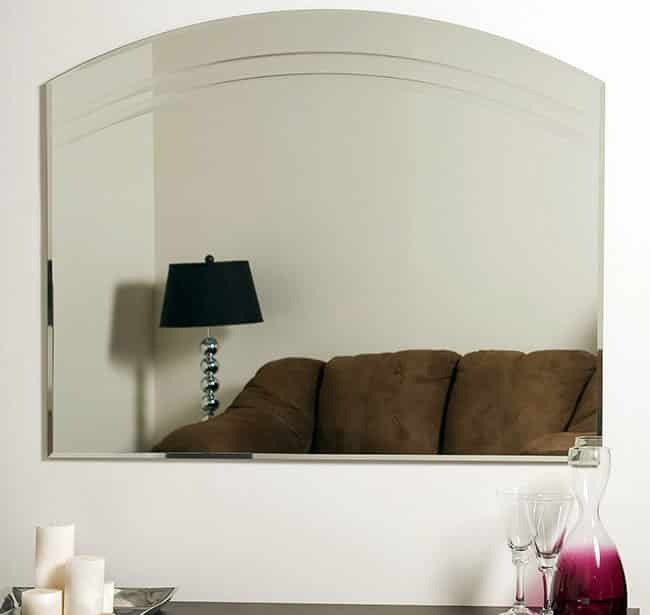 Make sure that the size of the mirror is appropriate to your wall and the furniture around it. You don’t always have to buy new pieces to decorate. Take a stroll around the house, and see what décor you already have. You may stumble upon pieces that you can use for your living room, and vice versa. Maybe you have some old pieces in the basement or garage that you can still dig up. You can look at recent gifts that you set aside not knowing where to put them. You can look for some small pillows that you can add to your couch. 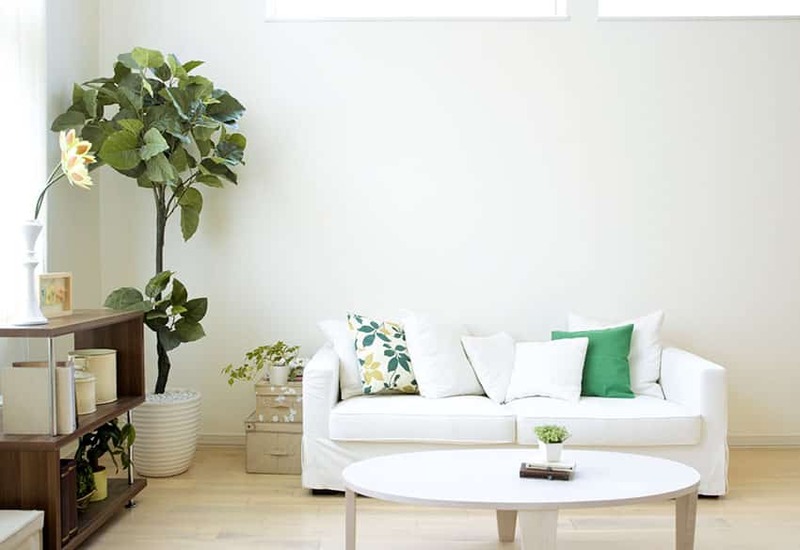 Bring life to your living room by adding houseplants or flowers. However, make sure to do your homework and research on which houseplants fit your home. There are houseplants and flowers that may cause allergies, or may be toxic to your pets. Ask for recommendations from friends or landscapers. However, if you frequently travel, it is best to use artificial plants instead. They are cheaper and last longer. 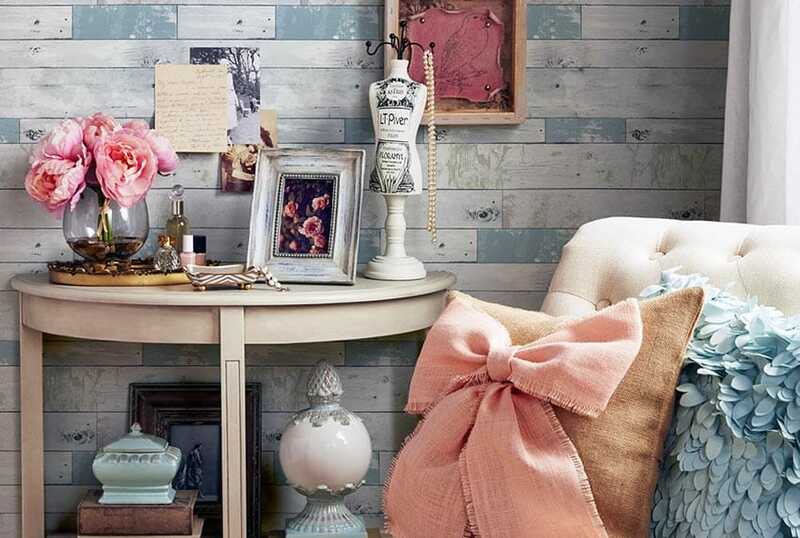 If you are into arts and crafts, there are so many ways that you can personalize your space at a low price. For example, you can add your own works of art on the walls. You can also display your collectibles on the shelves. Check out your bookshelves for potential books that you can place on the table. You can hang pictures or place them in picture frames. You can embellish your pillows. With your living room makeover, coming home to a clean and pleasant home definitely makes all the hard work worth it. After a stressful day at work, you can come home, relax and enjoy your home. Happy decorating!